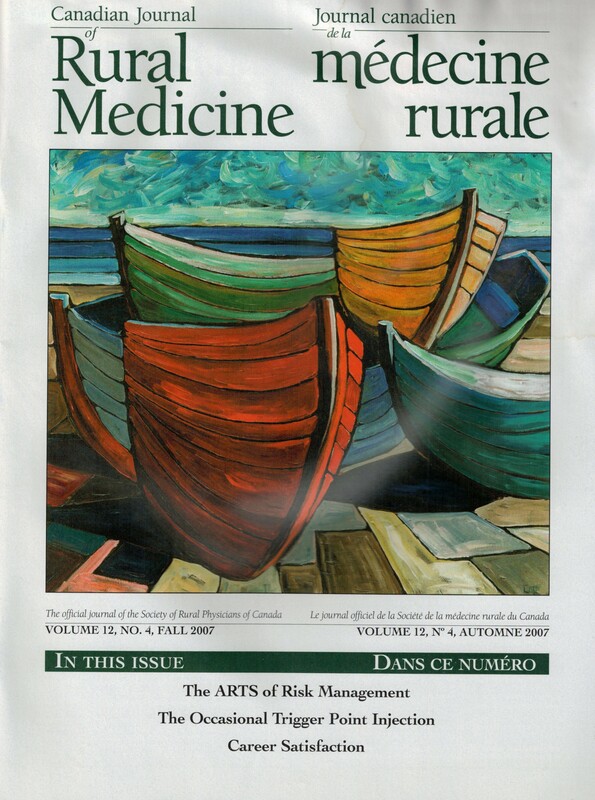 "My practice is full and I can't take any new patients"
Acrylic on canvas, 36" X 40"
"Cloridorme is a beautiful fishing village on the northern side of the Gaspe Peninsula. My painting was inspired by a time when there was cod in the sea. I used to work in hotels in that region ad a summer job when I was a student. A lot of my work reflects those memories."